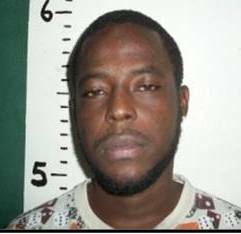 The Gang Suppression Unit made a bust of cannabis this morning when it searched an enclosed yard at Caesar Ridge Road housing a two storey building and a number of vehicles. 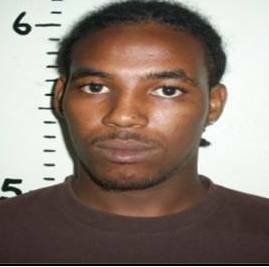 Five persons, all employed by the Ministry of Works, and described as members of the Southside Gangsters, were present: Ryan Welcome, Alexander Underwood, Randy Allen, Jordean Jergensen and Derwin Middleton. On Middleton and Underwood, the GSU found cannabis and both were subsequently charged with the possession of controlled drugs. When the GSU combed through the yard they found an additional quantity of the drug for which Welcome, Allen, Jergensen along with Middleton and Underwood were charged for drug trafficking. A warrant has also been issued for the arrest of Dane Enriquez, who operates a mechanic shop in the yard. What an utter disgrace the “gang truce” and appeasement policy is! Cheers for GSU, hopefully these South Side Rats will be locked up for a long time. Are all the employees of the Ministry of Works gangsters? Is gangster skill one of the pre-requisite for being employed there. The workers are either being killed, killing or involved in some sort of criminal activity, what is going on. Corruption in the nation and it starts from the top down . Soon they will ask the minister of national security to write a law that says that gang bangers are not bound by marijuana laws and the minister will oblige them so that they keep the truce….. I am still trying to figure out which truce cause the dead bodies keep piling up! I finished sixth form 3 years ago I haved applied to all the Government Ministries including Ministry of Works every year and have never gotten a single response.seems like I need need to start smoke weed and join a criminal gang to get a job. going to church every Sunday and home work every night surely is not paying off right now.. very frustrated!! Frustrated as a young man or woman the best thing to do is like what rod has been saying march on this no good pm and gov . We need a real leader in the country new poll channel 5. How many people thing this pm should step down from his position . i think we should make an example and show this government what the people want,if we allow them to bully us it will never end no matter which gov is in.